Inglenook’s unequaled pedigree rests on the acclaimed reputation of our Cabernet Sauvignon blends, in particular Rubicon. The Creek Vineyard Cabernet Sauvignon is the core foundation of the blend, bringing rarely matched fruit purity, concentration, and silky structure to our most prized wine. The Creek Vineyard is located in the Northern boundaries of our organically farmed estate. The soil is a mix of gravel, sand, and alluvial sediments that provide the perfect drainage for the old vines of our Cabernet Sauvignon Heritage Selection. This lot is aged separately for 20 months in small, 100% new French Oak barrels, medium toasted only in order to preserve its fruit quality. The Inglenook Creek Vineyard Cabernet 2013 has fragrant notes of fresh blackberry, blueberry, violet and vanilla. It is a soft, round full bodied cabernet balanced with flavors of black fruit, wet rock, rose and cinnamon and a long finish driven by beautiful acidity. Personally chosen by Francis Ford Coppola, renowned French winemaker Philippe Bascaules came to Napa from Bordeaux in 2011 to become General Manager and Winemaker of Inglenook. Born and bred in the southwest of France, Bascaules was a gifted student with a love of nature that ultimately inspired his passion for oenology. 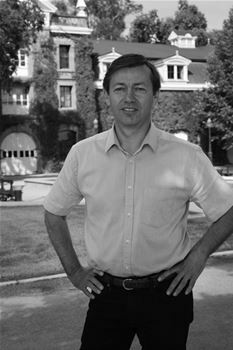 After receiving an agricultural engineering degree with a specialty in oenology from the graduate school of agronomy in Montpellier, France, Bascaules began his career at the legendary Chateau Margaux, one of France's five First Growth Bordeaux wineries, serving as assistant to the Estate Director, and during the past eleven years, was elevated to Estate Director overseeing the vineyards and cellars and working alongside renowned General Manager Paul Pontallier. At Inglenook, Bascaules now leads a team of talented winemaking professionals dedicated to Coppola's vision of making Inglenook the finest New World estate wine produced in the Old World style. In 1890, founder Gustave Niebaum stated that Inglenook would one day "produce the finest wines, to equal and excel the most famous vintages of Europe." Over a century later, Coppola and Bascaules continue the Inglenook legacy.